Manila’s finest kaiseki restaurant offering the best of fresh Japanese ingredients with the indelible talents of chef Ryohei Kawamoto, the former Japanese ambassador’s personal chef. Kaiseki is the Japanese version of a degustation menu and the highest expression of cuisine, so expect a seven to eight small course menu, based on seasonal fresh produce. The Hokkaido crab with cucumber jelly is served theatrically inside the crab shell, with the delicate, sweet crab flesh complemented by the tart yet subtle cucumber jelly. Chef Ryohei's nagasaki okoro (tuna belly) is melt-in-themouth perfection. 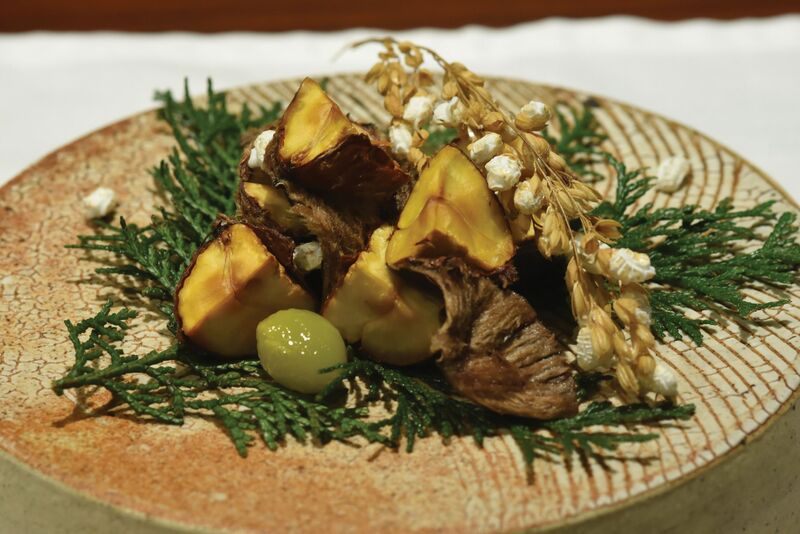 Most kaiseki meals will close with a meat dish and the Saga A5 Wagyu is expertly prepared and presented simply to accentuate the quality of the beef.